From left to right: Thelma Munhequete, serial entrepreneur from Mozambique , representative of the Africa Foundation For Sustainable Office in Mozambique, Appolinaire Zagabe, executive Director /DRC- Climate Change Network, Nkiruka Nnaemego is a lawyer, an agro-entrepreneur and a development practitioner from Nigeria, Fadoua Brour, a climate change activist from Morocco, Chinma George, a Nigerian woman climate expert, Olumide Idowu, co-founder of the Nigerian NGO climate Wednesday, Ibrahim Ceesay, a social justice activist from Gambia, Issa Garba, a human right activist from Niger, Karuna Rana, Regional Coordinator of the Commonwealth youth Climate Change Network, Moussa Sall, young activist from Mauritania and Chakir Said, a climate expert from Morocco. COP 22 will end on the 18th of November. Eraenvironnement.com introduces you to 11 African eminent experts. From Climate finance, environmental law, to climate justice, these experts are following deeply the negotiations. Their task: finding a new way of thinking and acting with the need to implement the Paris Agreement. 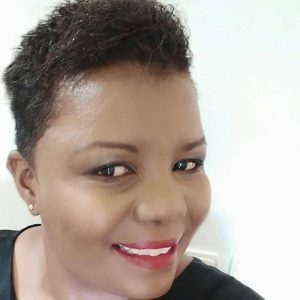 Born in Mozambique, Thelma Munhequete is a serial entrepreneur, underpinned by training in Germany and South Africa . 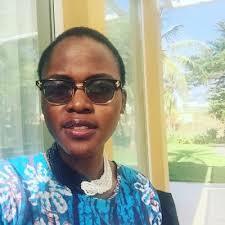 Based in Maputo, she setups and runs Africa Foundation For Sustainable Development office ( AFSD)* . This dynamic woman is experienced in project Coordination’s , Human resource (Training and Recruitment ) ,project execution. She has been appointed as the Global Environmental Facility’s Country Contact Point for the Civil Society Network, with a key objective of expanding the CSO network in Mozambique. She currently develops a Sustainable Community Lodge with main in focus for gender and Youths project and job creation. She has previously conducted Community Needs Assessment and Environmental Impact Assessment for a Power Station in Mozambique with AFSD support. She will participate in the first ever Global Gender and Climate Alliance (GGCA) Innovation Forum from 12-13 November 2016, at the Université Cadi Ayyad in parallel to the 22nd Conference of Parties (COP22) of the UNFCCC in Marrakech, Morocco. At the closing session, she will moderate a panel entitled, “People, Gender and Policy on a Changing Planet”. 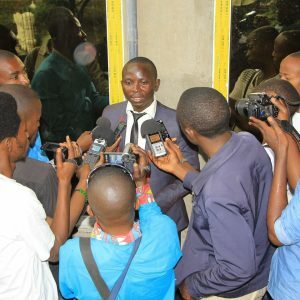 Working on Climate Change issues since 2011, Appolinaire Zagabe is one of the emerging talents of his country and Africa. He is from the Democratic Public of Congo. He owns his Master’s degree of Laws in Public International Law from Kampala International University in Uganda. He has taken various Environment and Climate change courses in Africa and Europe ( Germany, Netherlands, Belgium, Italy). He gained significant experience at United Nations Model Conferences, as well as conflict resolution skills, human rights advocacy training, and alternative dispute resolution education and Diplomacy. He initiated multiple projects related to safe environment and food security in DRC. He has followed many UN Climate Change conference as an expert on environmental law. In Marrakech, he follows deeply the issues on climate finance especially on adaptation. the executive coordinator of African Youth Initiative on Climate Change ( AYICC)*. All along her 15 years career, Nkurika faced many challenges such as discrimination. But She overcame it. Her role model is the late nobel Prize Wangari Mathai. “ Inspired by her work, I resolved to take actions on climate change and I got involved with different climate change networks, projects and programmes,” she said. And she added: “With my passion for change, I integrated climate change and green entrepreneurship into our organization’s projects.” In 2013, she introduced a youth farmer project in her NGO. For Nigerian media, she has become a spokesperson of the youth farmers in her country and beyond. In Marrakesh, she will present today the Youth Eco-Smart Projects Book during the African Youth Initiative on Climate Change (AYICC)*’s side event. This book gives information on sustainable agriculture projects for youth in Africa. As a lawyer, Nkiruka Nnaemego might be the next Nigerian negotiator on environmental law. She was recently trained under the programme of young lawyers funded by the United Nations Economic Commission of Africa and the African Climate Policy Center. President and Founder of the Moroccan Youth Climate Movement (MYCM), Fadoua Brour is currently working on promoting the role of women and youth in the sustainable development process. She is one the organizers of the 12th session of the youth conference (COY 12), ahead of COP 22. 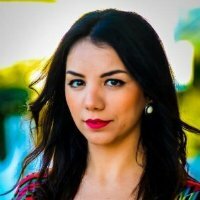 This climate activist from Morocco is also the National Coordinator fo the Arab Youth Climate Movement. Chinma George, one of the young climate finance consultant of the African Climate Policy Center of United Nations Economic Commission for Africa (UNECA). She used to participate to various climate change conference across Africa. She is also engaging to promote and to educate children on climate change in Nigeria. 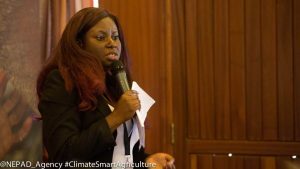 After 10 years of volunteering, Olumide Idowu is one of the emerging young leaders of Africa, .“When it comes to tackling climate change, everyone needs to be brought to the table, especially women and young people, ” said Olumide Idowu. 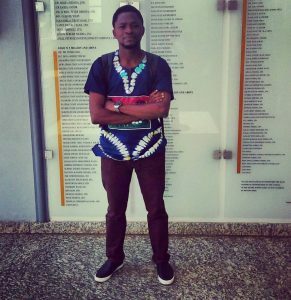 Olumide has been engaging youth in Nigeria and Africa with making their voice to be heard both “offline and online” for 10 years. “I want a better place for all”, he proclaims. After COP 21, Olumide reacted quickly by involving social networks, reporting, strategic projects to fight against climate change in Africa . He worked with many organizations such as the United Nations Environment Program, UN-Habitat as Youth Champions for Africa, Save the Children Nigeria, Amnesty International . He is part of different strategic team: Environmental Leadership Academy, Mentorship HUB Africa, Climate Wednesday, Youth Initiative Africa. He raises issues such as waste management, smart agriculture, water management and climate finance.